As of this Saturday I will have done my third wedding in seven weeks with more to follow in the fall, I have also shot numerous portrait and other miscellaneous photographic work, and I am really starting to miss what I first got into photography for and that was the nature side of it. I have actually enjoyed the portrait side of photography, except for the endless editing, but you just can’t beat a cool spring morning hiking into the wet green world of a Clifty Falls Canyon and photographing a beautiful stand of Wild Columbine or Trillium. As beautiful as the weddings I have been a part of so far the real beauty of the natural world far outshines anything man can put together, not that I don’t enjoy my new gig, you just can’t replace the world outside our doorsteps. 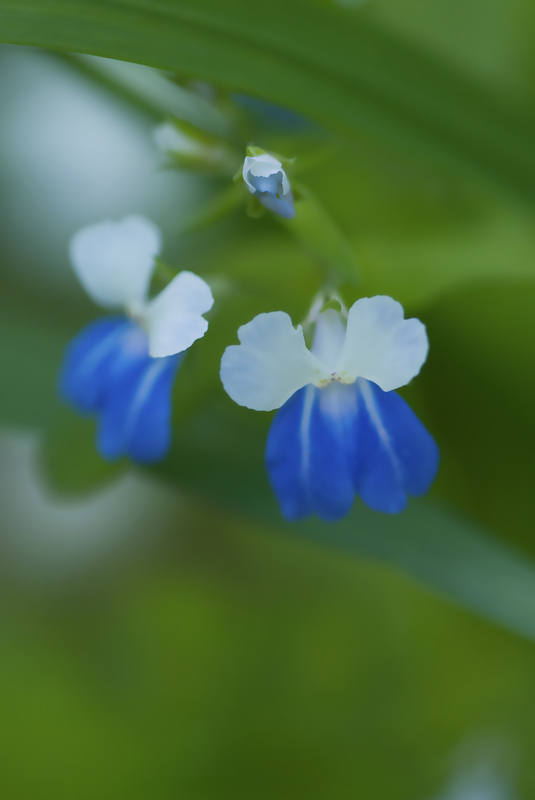 This is a image of one of my favorite little wildflowers..The Blue-Eyed Mary, these little beauties grow in clusters along the creek bottoms that carve their way thru the hills and gorges that make up Southern Indiana. I shot these in Clifty Falls State Park near Madison Indiana one beautiful spring morning, it was one of those mornings when the fog hung close to the ground and the colors in the woods were so saturated and vivid you just couldn’t feel more alive !! That’s one of my favorite things about photography, just when I needed a break from the hectic world I live in now all I have to do is pull out some old files and the memories of a great day in the woods come flooding back to help you get thru the boredom of everyday life. Thanks for stopping by and taking a look, as always click on the image for best viewing !! Just returned from a recent vacation to the Great Smoky Mountain National Park, it was more of a family gathering so I wasn’t able to get out and work the park much but did make time to get a few decent shots. 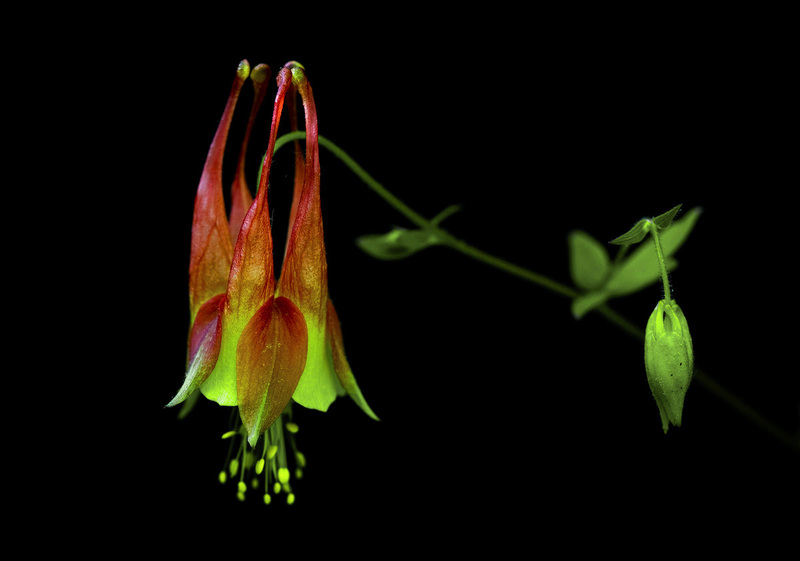 I will post some soon but for now here is a Wild Columbine I shot earlier this spring, these little gems are really hard to shoot and if you get any wind you can forget about getting any images at all. Patience is the key to this wildflower, try shooting in low light with calm winds and low iso settings to get the beautiful colors to pop in your images. Tripods are a must with a cable release if at all possible. I shot this one at Clifty Falls State Park near Madison Indiana when they were are their peak seasonal bloom, these are just a few tips to help you out when shooting wildflowers, just take the time to get out there and shoot and with a little practice and patience you can get some great results !! Thanks for stopping by and taking a look, and don’t forget to view this large for the best viewing !! 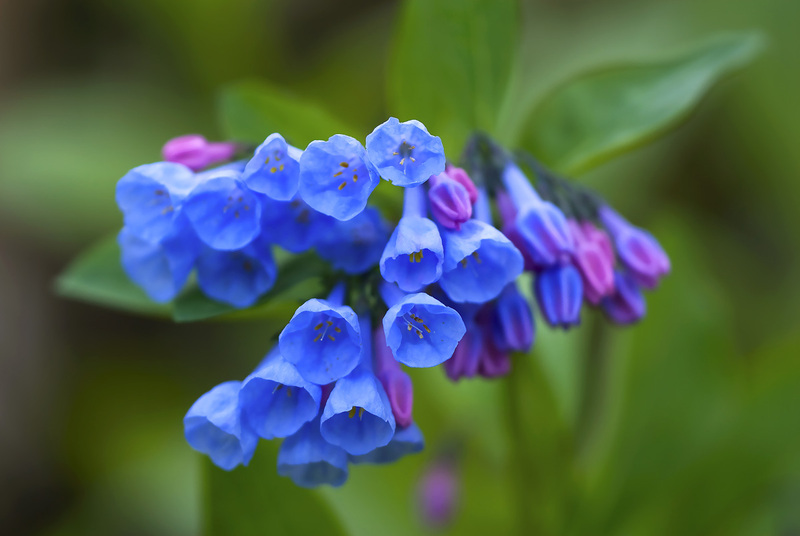 I thought I might share another wildflower image from the Madison Indiana area, this one is a Virginia Bluebell and was shot at Clifty Falls Sate Park, I captured it on a beautiful spring morning in early April. Bluebells are one my favorite flowers to photograph not only for their wonderful color but also because of the wonderful fragrance that they emit when they grow in large patches. Standing on a hillside covered with these spring beauties is definitely a wonderful experience that any photographer are any one else who loves the outdoors should enjoy, the beautiful blue and green color contrast between the bloom and the foliage is a definite must see if you ever have a chance to hike out into a large patch of this early season wildflower. So here you go another post within a couple days maybe this is a pattern I can keep up with !! View at larger size for best image result. It has been about three months since my last post, can’t tell you enough how busy I have been, I have a large amount of images to share with you so instead of a lot of words I will try to keep it simple and keep my mouth shut. Had a nice spring and now I am busy with weddings and portraits, not getting enough nature shots but I am getting paid so that’s a plus !! 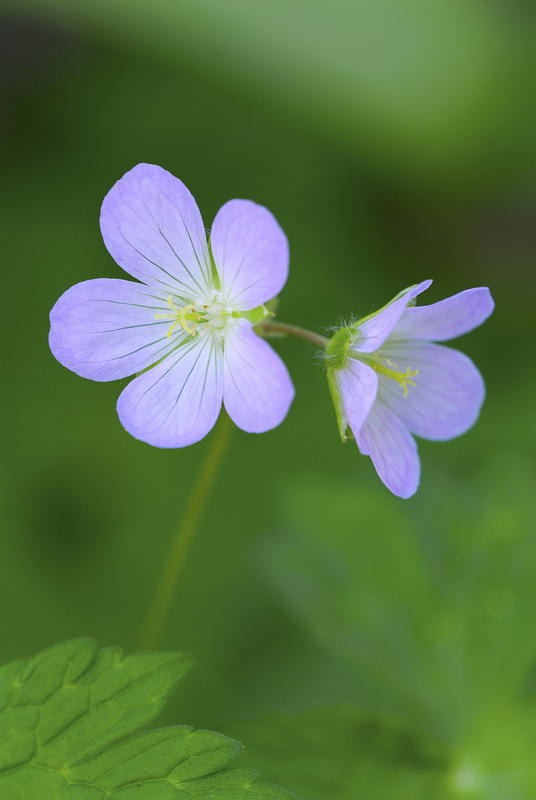 Got some nice shots from Clifty Falls State Park starting with this Wild Geranium, I really liked the petals facing the differing directions in this one, any thoughts or suggestions would be welcome. Well that’s it no more talking hopefully you are dong well and staying out of trouble, I have quite a few to post so I will try to get them up here quickly.